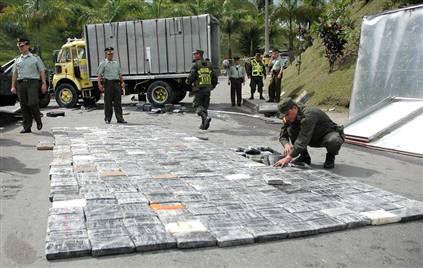 In Colombia, Bogota, on April 20, 2007, a truck overturned when it cornered a turn too fast, spilling almost a ton of cocaine on the highway. The cocaine was hidden in the walls and roof of the truck. The driver was not hurt, but was arrested. What was he thinking?